It’s quite possible that my parents inadvertently trained my brain to be more philosophical then it might have been ordinarily. I’m not sure what kind of answers they were expecting. I would wonder why they would ask that. Those answers were far beyond what my child brain could tackle. I would usually answer, “I don’t know.” Deep inside I would wish and hope the scrutiny would not last too long. (It probably would lead to a “spanking” a.k.a. whoop the daylights out of me.) But, I also thought, if I did know, wouldn’t truthful answers incriminate me? What could I really come up with in all honesty, “because I wanted to,”? When troubles or suffering would come, I would instinctively ask “why”? Or, the answers get debated widely, and are rarely agreed on. Or, the “answers” have the kind of complexities that don’t make one feel better about things. At all. All this preparatory ‘why’ work…for what? Zip. More or less. Instead of those sorts of questions, I moved on. “What does asking why tell us about us, and why we should want to know in the first place?” That seems like a much bigger question, with the kind of answer that will make a difference. It’s been a new path for me to have a certain serenity that understanding may begin when the intricacies that the why questions remain in creative tension with discovery and mystery. For me, it’s about knowing things in terms of relationship, not facts. The facts can be manipulated, massaged, or up for grabs. But, true trust, based on an ongoing and lavish love, surmounts what facts never satisfy. The face of "Freak out"
I got this on Facebook from Susan Sims. Me thinks she pulled it from somewhere online. If anyone knows the proper source for citation, give me a shout out. 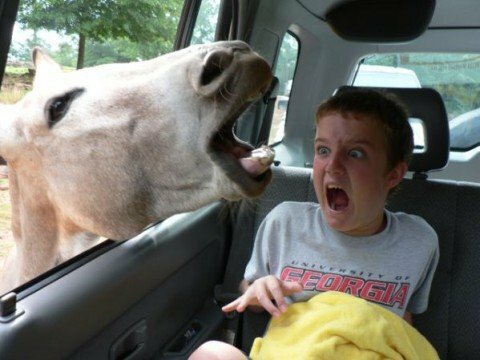 I thought this picture just perfectly captured what happens on my insides when I get suddenly horrified or surprised. Notice the weird hand gesture of fright. Classic. In a rather unrelated note, due to my employment research, I found this, and I thought it would make a fine read, even for those not in recovery. Please note the restorative humility it takes to get well seen in these steps. It makes one wonder how many of us are all that well, right? 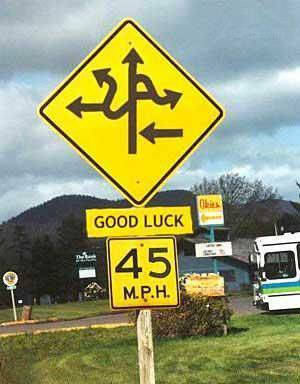 Would this sign work for people too? Sometimes we get awfully close to the brink. 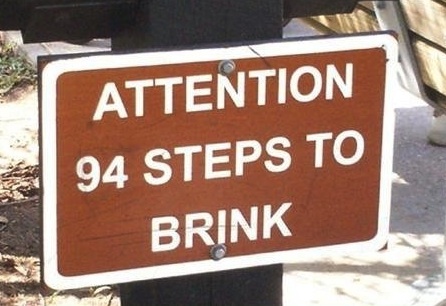 Maybe 94 steps. Could that take a day? A week? Two weeks? What does it take to take a few steps back? Rest? A new Perspective? A change? In the movie Fantastic Mr. Fox, the euphemism “1 foot in the grave and 3 feet on a banana peel” was used to describe a fox in a precarious spot. What we often don’t realize is that the “brink” is just the first of many. When have you felt “at the brink”? What was the result…or how did it turn out? Open House at my school! Posted on March 23, 2010 | Comments Off on Open House at my school! I will be graduating this May, and I cannot say enough about the wonderful school I have been attending! The students, staff, and professors form a beautiful community, rich in love, thoughtful in understanding, and dedicated to helping others live–not just know–the gospel, and the deep, high, long, and wide love of God. The transformation God has done in my heart, by way of this place-during my years here, is difficult to sum up. But, my life is forever changed and renewed. My character, and love for others is stronger, my understanding of my God and my purpose and meaning in this world has blossomed. And, I am far better prepared for the next adventure God has for me since I followed a call to come to ETS. What an immense joy it has been. I’ve loved it the whole time, and I wouldn’t trade it for anything. Perhaps you’re at a crossroads, or may you feel the tug of God to go deeper to learn, serve, grow, and love your Creator and Redeemer. 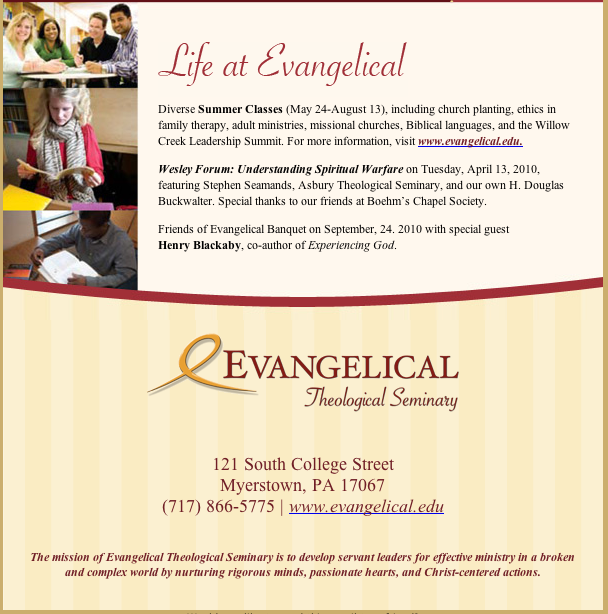 This school, my school, Evangelical Theological Seminary, would be a fantastic way to move along on your journey. The upcoming Open House is a great way to find out if this path would be a one for you. April 8th you can talk to and hear from students and faculty, tour the campus, ask questions, and learn more. 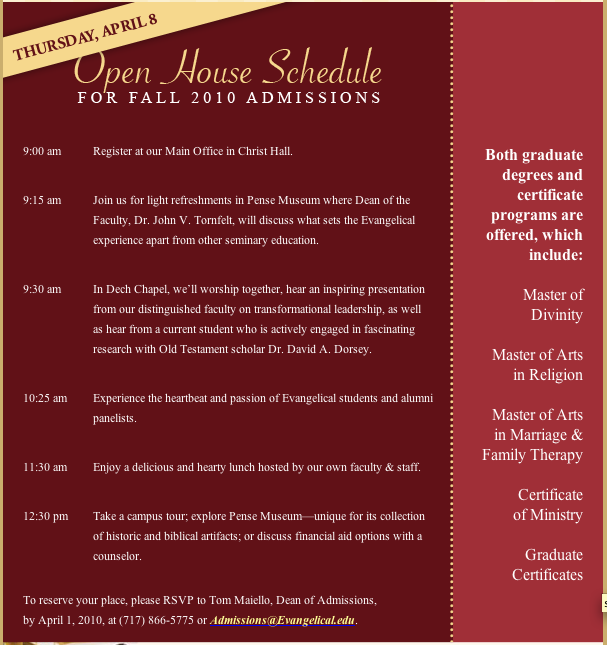 Here is a bit of information, (and the day’s schedule) for the upcoming Open House, April 8th. Leave any questions you have here, or contact the ETS office 777-866-5775. Comments Off on Open House at my school! I’m going to start by saying the “answer” I give to solving this riddle, is quite real, but is not easy. I don’t claim there is but one answer, but it is surprising how transforming this surprising tact can be. This situation might be like telling a person what they need to stay fit. Once they have the information, it doesn’t mean it will happen. It doesn’t mean transformation to fitness will take place. It only means, if they truly put the information into practice regularly, will they see true change and results. I also offer that just as in fitness, results do not happen in a day, a week, or a month. It is more of a lifestyle. Change and “state of fitness” happens over a period of time–like a journey. The same is true for what I share with you. I have often heard questions like, “How can I help my self-esteem and low self-worth?” What most people fail to realize is the truly universal problem a low view of self is. People may see others as confident, and assume they don’t have many doubts, or that others aren’t really acting out of a place of a compromised view of self. I venture to guess many bad decisions we make, and possibly most destructive behaviors come from an attitude, or some form of self-loathing. Yes, it’s a real problem, and a big one. This reveals the anthropocentrism (human development-centered) of our efforts to both fix our problem of poor self-image, and to make ethical decisions based our our view of the world from a decidedly human perspective. In both cases we are helpless–stuck making very little ground. Or, the progress made is inconsistent, and can fluctuate based on our particular selfish motives, and short-sighted view at that moment of our ethical choice. Strangely enough, we cannot start with thinking about ourselves to reclaim our value, or raise our poor self-esteem. For that, we must thrust our focus away from the defect, to the Standard, the Creator, and work from the Source, or the Top down. It might seem counter-intuitive to not think of yourself when you are attempting to better yourself, and that not entirely what I propose. I propose that we allow God to be the source of our esteem, and the foundation of our value. One of the greatest benefits to adjusting (or I should say re-adjusting) to a theo-centric worldview, is that the pressure for defining self, and for generating self-esteem is not our task any longer. The pressure is off. Our worth is in our God who loves us and made us, and gave all to save us, so we could be healed, and restored. So, we are brought back to rightly, and happily living, and loving him and others again. And we also have the hope of the restored world beyond this one, in which the problems, injustice, and turmoil we cannot fix will be made good and right. This is God’s promise, and it rests in his perfect nature–which must be all-good, and all-just. God is our hope of hopes, both now and in times to come. Though this truth is not completely fathomable, it is knowable because we can sketch the contour of a perfect God, who created us, and is, in fact, not a part of our world and lives, but indeed, the very center of Reality. This topic makes a great small group discussion that can promote spiritual introspection and growth. Use this post to generate an interesting discussion by sending a few friends here to read this post, and then chat about it together. (Also pastry and coffee helps the experience. I’ve tested it out!) Please weigh-in with some of the thoughts you came up with while you were together. And if you can, please list a suggestion/s for worship. Thank you for reading.